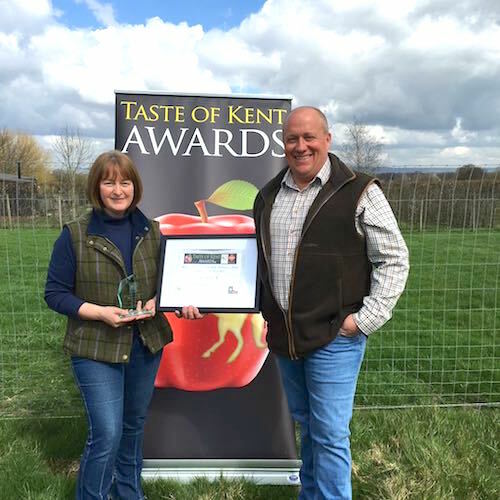 Nestling in the beautiful Weald of Kent, near to the quaint villages of Cranbrook and Headcorn, Hollin Root Farm is home to Simon and Kim Everett, who rear traditional and rare breed lamb, pork, turkey and beef. Here on our small farm, together with friends and family, we rear traditional and rare breeds of livestock. Our interest in these breeds has developed since we came here in 2002. We believe you can really taste the difference from the commercial, mass produced meat available in the supermarkets. Our concept is to rear happy, healthy animals using a traditional, free range approach. This in turn helps us provide top quality produce to our customers. Using low input methods and allowing the animals time to mature naturally speaks for itself. Feeding them on a natural diet with no growth promoters and handling them with care and compassion are extremely important. Our customers return year after year which is all the encouragement we need as we know our system works and we can take pride in our animals, our produce and our little farm.